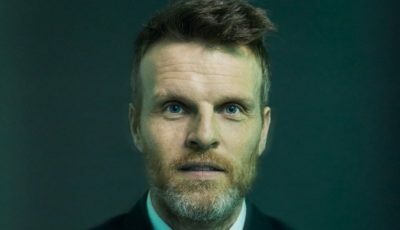 Frá tökum á Kona fer í stríð: Halldóra Geirharðsdóttir og Bergsteinn Björgúlfsson tökumaður. 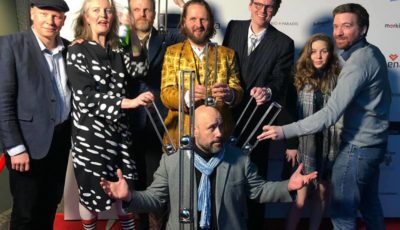 Jordan Mintzer hjá Hollywood Reporter segir Kona fer í stríð Benedikts Erlingssonar vera öðruvísi, hjartnæma og myndræna veislu. 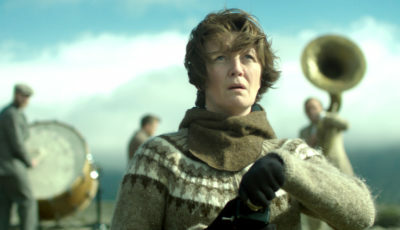 An impressive follow-up to his strikingly eccentric debut, Of Horses and Men, Icelandic auteur Benedikt Erlingsson’s second feature-length fiction, Woman at War (Kona fer i strid), is another skillfully crafted, surreally told tale of man and nature — or in this case, woman and autre —but one with more emotional depth and sharper political undertones. 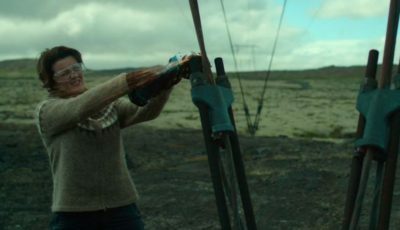 Starring Halldora Geirharosdottir as an ecological “terrorist” who sabotages her country’s power grid in order to preserve its breathtaking landscapes, the film starts off on rather playful footing but gradually builds into something more thrilling, and moving, as our heroine goes on the run from the authorities. 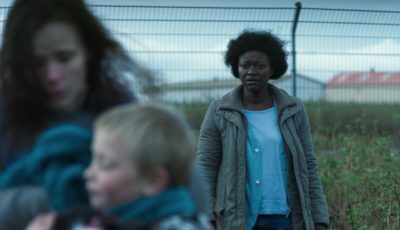 Premiering in the Cannes Critics’ Week sidebar, War could see pickups in both Europe and elsewhere as a work that’s both quirky and altogether timely. 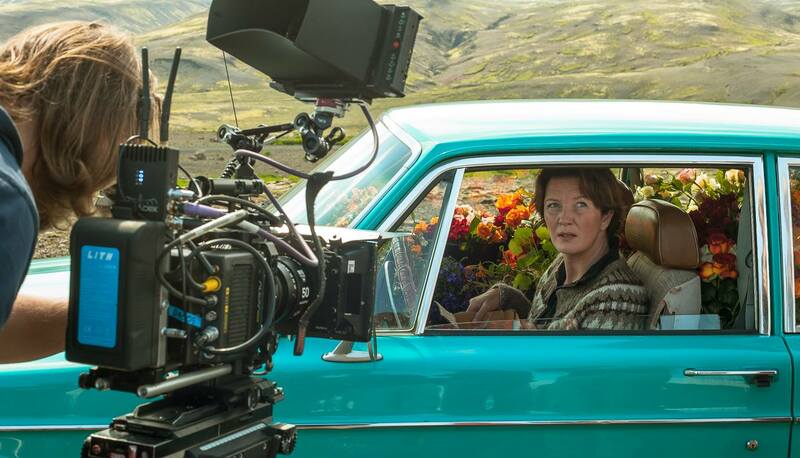 Teaming up again with cinematographer Bergsteinn Bjorgulfsson (Black’s Game), who captures the immensity of Iceland’s rural highlands in monumental widescreen compositions, the director and co-writer Olafur Egilsson (Vikingar) craft a modern-day fable about a female David taking on the Goliath of her country’s government and industry — even if the Goliath in a tiny place like Iceland consists of only a handful of people. 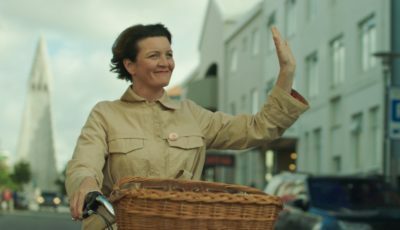 There are a few standout scenes in War’s closing reels, as well as a few cleverly executed twists, yet Erlingsson doesn’t let them undercut the movie’s emotional sway. 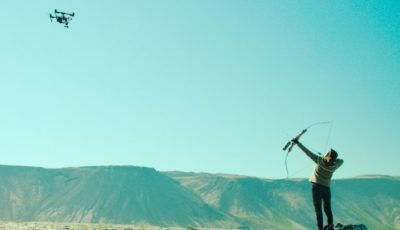 Halla’s antics may seem a bit foolhardy, and her tree-hugging (or earth-hugging in this case) a bit crazy, but the woman’s willingness to sacrifice her own happiness for what she believes is a valuable cause is both admirable and ultimately touching. 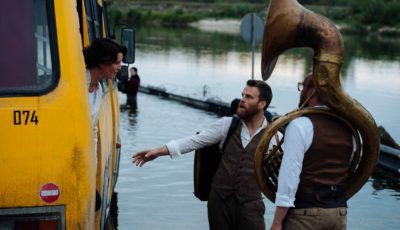 A final sequence set in the Ukraine further pushes the film’s environmentalist stance, revealing what happens to a nation when factories run rampant and industrialism winds up destroying the local ecosystem. Alongside the stunning camerawork and eclectic on-screen music — the latter a mix of accordion, piano and choral numbers performed by a cast of recurring characters — editing by David Alexander Corno keeps a steady pace but allows room for moments of deadpan humor and visual bliss.